For the release of the S60, Volvo decided to target a younger demographic. To do this, they created a YouTube masthead that allowed users to play the Augmented Reality Driving Game with their phones. With 88% lift in purchase intent and 240% lift in brand favorability, they beat all industry benchmarks. 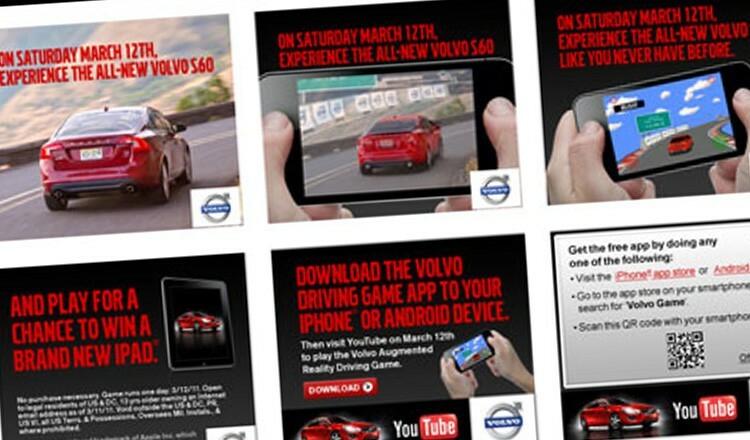 Working with YouTube, Volvo, Euro RSCG and Total Immersion, we delivered an iPhone and Android game within short notice.